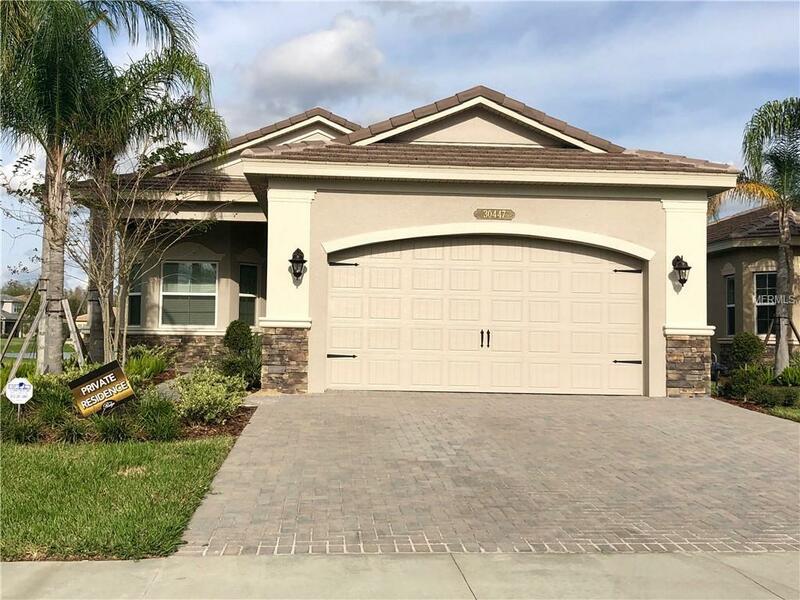 Gorgeous Waterfront newly built, home features 3 Bedrooms, 2.5 Bath, 2 Car Garage with a Bonus Office, located in the community of The Ridge at Wiregrass. Great community w/ lots of luxury amenities: maintenance-free landscaping. This home has an open concept design with tiles accept carpet in all bedrooms. The beautiful eat-in kitchen features plenty of granite counter space, and beautiful cabinets. Stainless kitchen appliances including side-by-side refrigerator, dishwasher, Gas range, and microwave hood. Beautiful covered patio off of living room. The master bedroom has separate vanities, large glass shower, and walk-in closets. Laundry room comes equipped with full size washer and dryer. Great location in Wesley Chapel with "A rated schools. The Ridge is a beautiful gated community with a resort style clubhouse that features all amenities to entertain the entire family: Tennis Courts, Pools, Playgrounds, Basketballs and Volleyballs. Close to Wiregrass Mall, Outlets, Parks, Schools and I-75. Listing provided courtesy of Adam Realty Llc.